Promoting sportsmanlike competition, team and individual values, and respect for the rules of play in the great game of ice hockey. 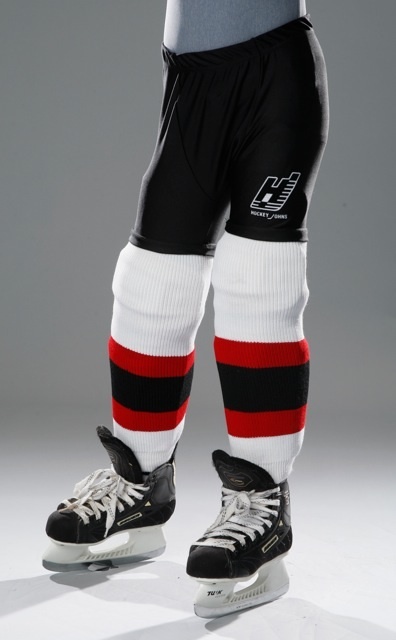 If interested in ordering Hockey Johns for your player, please email John Holubec, Johnswear Inc, at or call John directly at 708-288-7372. JR XS 22" - 24" 17 1/2"
JR S/M 24" - 26" 21 1/2"
JR L/XL 26" - 28" 25"
SR XS 28" - 30" 29 1/2"
SR S/M 32" - 34" 31 1/4"
SR L/XL 36" - 38" 32 1/2" "